I am thrilled that readers with indieBRAG have honored Swords of the King with a B.R.A.G. Medallion. Swords is the third book in my Battle Scars series to receive this wonderful award. WOW!! indieBRAG – the Book Readers Appreciation Group – recognizes self-published authors through a tough review process. Several independent readers must give a thumbs-up to your book. The author receives a ‘report card’ using a 5 point scale. Readers grade on plot, writing style, characters, copy editing, dialogue, and cover/interior layout. Ultimately, 20-25% of books submitted for consideration are awarded the B.R.A.G. Medallion. It truly is an honor. Learn more about indieBRAG on their website. Indie authors need your support. Spread the word. Check out all the honorees (by genre) at indieBRAG. I bet you might find a new book to love. 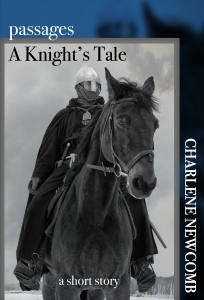 Charlene Newcomb recently published Swords of the King, Book III of Battle Scars, 12th century historical fiction filled with war, political intrigue, and a knightly romance of forbidden love set during the reign of Richard the Lionheart. She is currently working on Echoes of the Storm, a sci fi/space opera filled with rebels and traitors and battles and romance in a galaxy far, far away (no, not Star Wars). Sign up for Char’s Newsletter for exclusives and special offers.